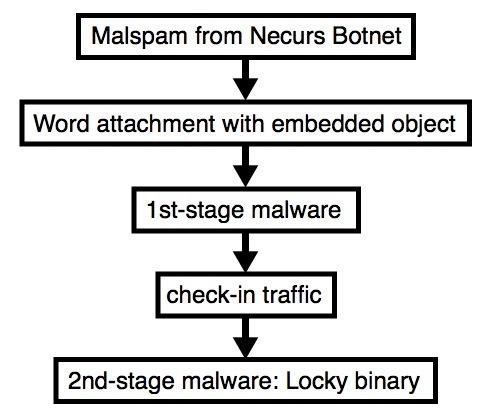 Necurs Botnet malspam using embedded objects (not DDE attack) for the 2nd day in a row. 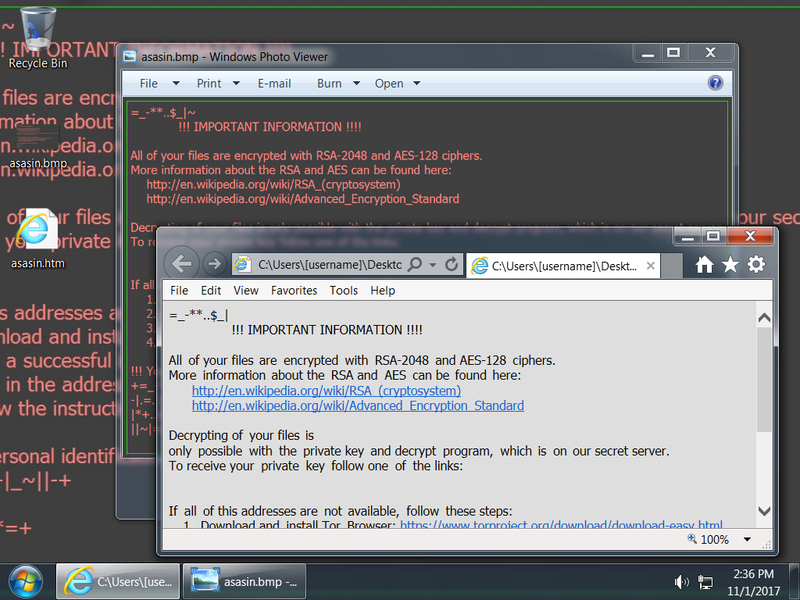 Like yesterday, the Word documents have embedded objects that call Powershell to retreive the 1st-stage malware. Shown above: Current chain of events (no DDE, but embedded objects). 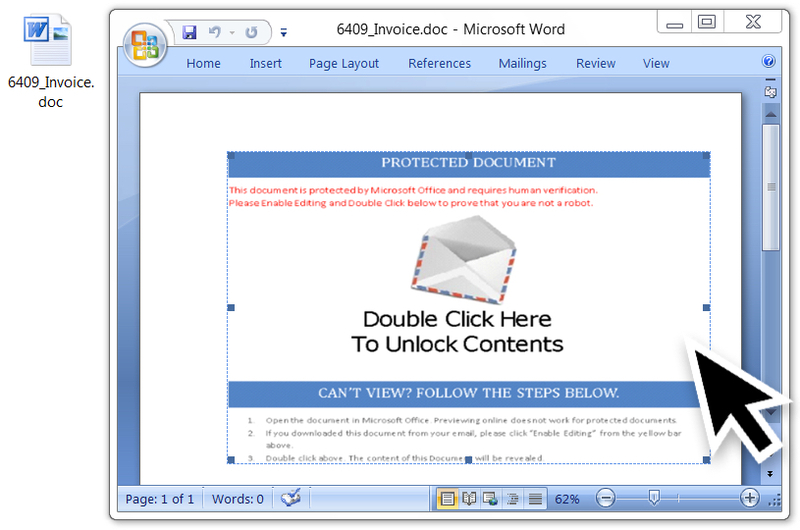 Shown above: Word document from one of the emails with malicious embedded object).